Click here for the Green Man Website. Refreshingly independent, the event is organised by Fiona and her family, who love nothing better than to welcome new and returning Green Man family members. This incredibly friendly event, is also and the go to festival to discover new musical talent, with many Mercury, Ivor Novello and Brit nominees and winners emerging from the festival each year. So if you are a student, out with mates, with the family, or on your own there will be a warm welcome and great times waiting for you. 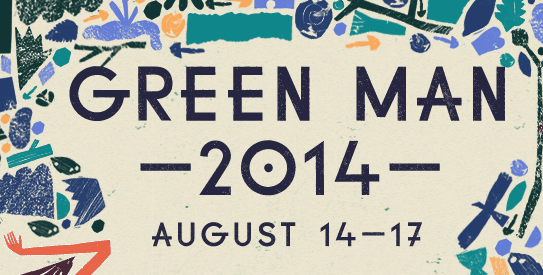 But see for yourself and come to Green Man and create great new memories from an incredible festival experience . With ten entertainment areas in lush Welsh Wilderness, 1500 performers, 24 hour entertainments, comedy, poetry, literature, art & science, fun for 12 and unders and a separate area just for teens, spas, therapies, hot piping showers, luxury camping areas, local ale and cider sipping, all night bonfires, gorgeous selection of locally sourced food over 4 days of festival fun, the award winning Green Man really has got it all. Why not make a real adventure of it with our seven-day Settler's Pass combining a holiday in Wales with the Green Man. Wales own Green Man is really easy to get to by train with a free shuttle bus taking right from the local station into the festival. If you are coming by car its approximately 3 hours from London, 3hrs from Manchester, 3hrs 30mins Brighton, 1hr 30mins Bristol. In the beating heart of the breathtaking Black Mountains, where mystical leylines converge amid ancient oak trees, something truly magical is stirring. Mischief and misrule will reign supreme in a four-day festival experience unlike any other…It wouldn’t be the same without you..